Morning lovelies:) I am SO happy its Friday, this weekend is going to be amazing and I already know it! 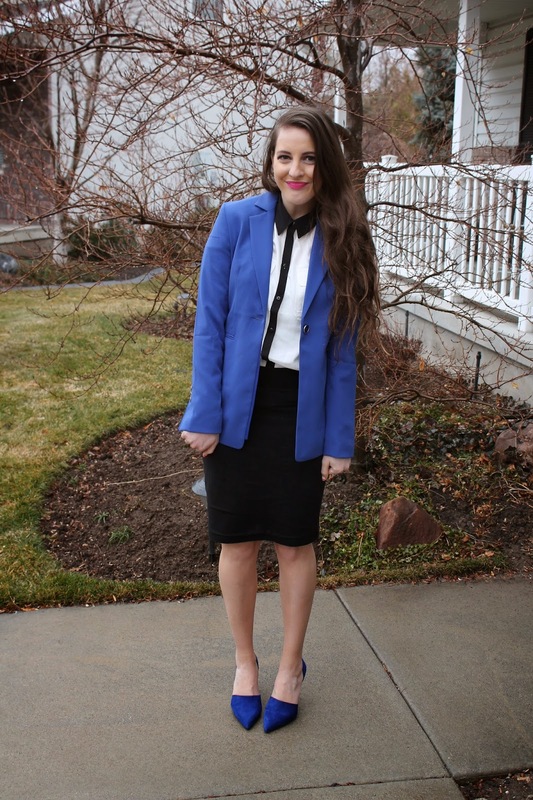 So I have this love for cobalt blue and at first I was a little hesistant about wearing it with my heels and blazer but I mixed it with this black pencil and this black and white button up that I think it really mixed well together. 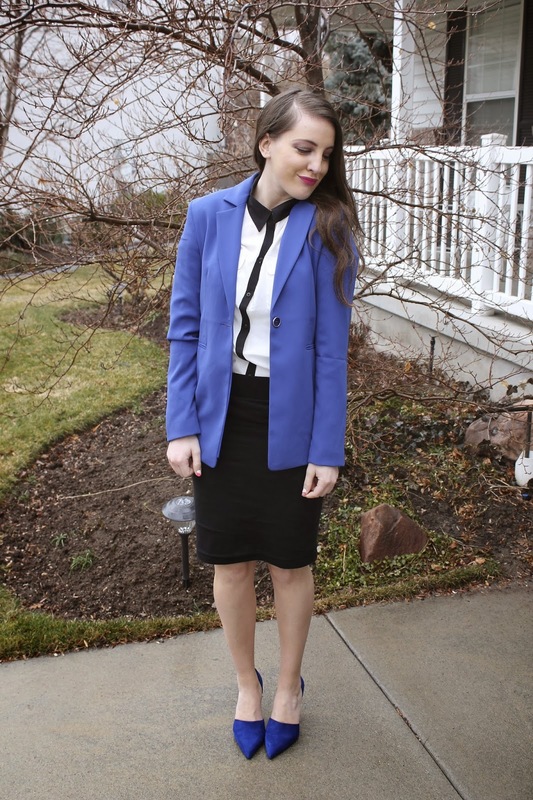 By adding bright colors with staple colors like black and white you can get away with a lot, and I just love any outfit where I can wear this much cobalt blue. 2. Link Up anything fashion related! Outfit Posts, outfit inspirations, outfit boards! 3. Be sure to check out the other links here and meet some new friends! 4. It is required that you link back to this link up iin your post! Use the button or a simple link! I love the outfit, that shirt is lovely. I love a good link up, I'm glad you started one! Hey girl! 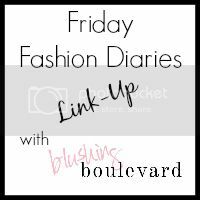 I am a new follower coming over from the Fridays Fab Link-up! I love this outfit--colbalt blue has been on of my favorite colors this season :) I am also joining your link-up--thanks for hosting!